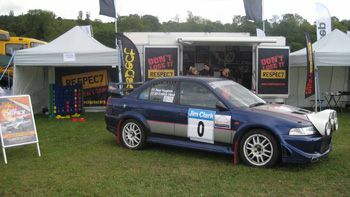 Paul Hughes took his Mitsubishi Evo Rally Car to the the recent Northumberland County Show and helped to bring Whickham and District Motor Club to the attention of some of the 27,000 or so visitors that attended on the day. 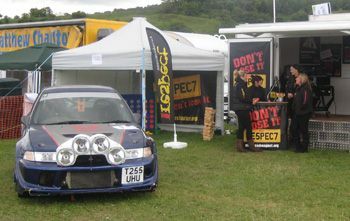 Paul tells us that the Evo generated a huge amount of interest and the Road Respect Staff were very pleased indeed with the results of the day. Many people just don't realise the impact of making a phone call, texting, or otherwise not giving their full attention whilst driving. Whilst we are sure that nobody from WDMC is guilty of doing any of those things when driving, we all know people who do. And it is those people we would like to appeal to, to get the message across that even a small lapse of concentration can have terrible consequences. Visit the website, please read it and think about the people you know who do those things, and let's all do what we can to try and stop the avoidable accidents that happen every day, just because there are some people that think a text is more important than concentrating on their driving. At Whickham and District Motor Club, we know that driving really is the ultimate pleasure, and so we relish it. But there are those people for whom driving is just another everyday activity, and certainly one that doesn"t deserve their full attention. They are the ones that can kill you. Don"t let that happen. This time of the year is, in my opinion, the best. It's when people get together as families, get back in touch with people they've been meaning to for ages, take it a little easier than normal, and generally trying to relax a little and forget about the troubles of everyday life. For the Motor Club, it's a time we can look back over the past year and reflect on what we've achieved as a Club, and what we'd like to in the coming year. It's a time that we've had some great successes, and some unfortunately less so; we've seen some old and familiar faces return after some pretty long absences, and the Club begin to feel a little more like the family it always was for so very many years. Whickham Motor Club is in an enviable position: we meet every week without fail, there is always a brilliant atmosphere about Wednesday nights; we have a really good core of people that truly want the Club to do well, and we have a fantastic attitude amongst the membership that makes each and every one of us feel very proud to be a part of the Club. Whickham Motor Club has been a major part of my life for around 30 years, and in all that time I've never found a Club that comes even close to ours. At this time of year, when so many families are enjoying each others company for a brief few days, I feel very privileged to know that at WDMC we have that every week, and it's something that's quite rare in these days when it seems so very fashionable for everyone to be so confrontational and argumentative. I wish you all a Very Merry Christmas and a particularly Happy New Year, and hope that 2011 brings everything you wish, and hope the Club continues to grow, and remains a place that is always welcoming to members old and new. Club Chairman Paul Hughes will be attending the Awards Ceremony at the Radisson Hotel, Durham to collect them on our behalf. Congratulations everybody - a fantastic achievement! Whickham Motor Club was in the news recently when the 'Gateshead Smoke Free Autosolo' was held at the Metro Centre, Gateshead. An article about the event was published in the Chronicle Extra and accompanied by a photograph of Councillor Mary Foy and Club Chairman Paul Hughes. The article stated: Gateshead Smokefree Auto-solo has been organised by Whickham and District Motor Club and Gateshead Council in a bid to spread the message about the dangers to children of smoking, particularly in cars. The Smokefree Autosolo is a non specialist motorsport using standard road-legal cars. Both novices and experienced competitors are invited to complete a series of 12 timed, all-forwards courses, on tarmac, marked out with traffic cones. Cabinet member for health at Gateshead Council, Coun Mary Foy, said, "Secondhand smoke is responsible for up to 400 children a year being admitted to hospital and up to 900 new cases of asthma in the North East each year. We want to remind drivers about the risks faced by children and young people who are exposed to secondhand smoke in the car and this is a great place to start." 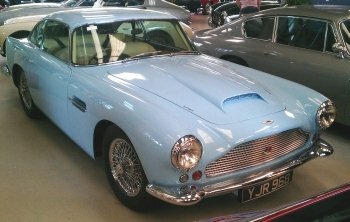 Monday 28th May saw a very lucky group of WDMC members taking a rare and exclusive visit around the Aston Workshop. Those who attended on the night were not only privileged to see a huge number of absolutely beautiful cars, both restored and original, but also had the opportunity to visit the Body Shop, Workshop, Machine Shop and Paint Shop. To say it was a rare and thoroughly enjoyable activity would be a huge understatement, and one which we are sure the visitors will remember for a very long time. The night was rounded off in fine style with a visit to the Black Horse for dinner, where everyone had a fantastic meal, beautifully presented, a great laugh and an evening that is now high on the list of recommended activities for the future. 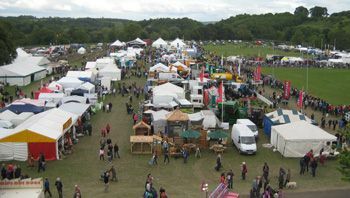 The sheer number of events that have taken place is quite surprising, and it's good to see our own Club members doing their utmost to represent the Club at events far and wide, giving a good performance and helping to keep the name of Whickham and District Motor Club in the forefront of people's minds. 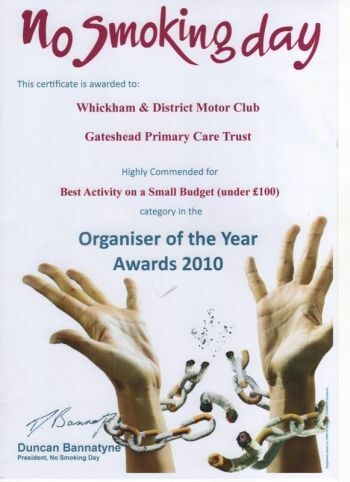 We like to think of WDMC as being one of, if not the most active Motor Club in the area, and it's always rewarding when we hear good things about the Club and the events it puts on. Apart from the standard reports from Secretary and Treasurer, it is good to know that the Club is in a very healthy financial position and the Committee is doing everything right to keep it that way, showing fiscal responsibility whilst still doing all they can to help promote Motorsport in the region. The AGM finished with the election of Officials, and to see the changes this year go to the 'Contact Us' page to see who will be helping manage the Club for the 2011/2012 year. We would like to thank those committee members who have decided to stand down this year for their service to the Club, and welcome our new Committee members, Colin Fish, Kevin Cousins and Tony Bebbington. For those of you that just don't have the time to sit down at your desktop PC, or find your pace of life so frantic you only have time for a snatched look at your mobile phone, there's a new website helping to get the message out about what's happening in and around Whickham - and it has a link to our very own Motor Club! Although it is currently only operating as a mobile website, it will also soon be launched as a new desktop site allowing the webmasters to include content and media they simply couldn't have justified on the mobile platform. 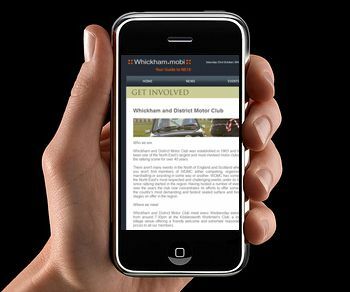 Click here to visit the excellent 'soon-to-be-launched' desktop website, or from your mobile phone go to www.whickham.mobi and click on 'Get Involved' where you will see the link to the Motor Club's information. The MSA has recently launched a new online service called GoMotorsport.tv. which is designed to provide a YouTube-type service for the motor sport community, allowing MSA clubs to upload video footage free of charge and providing each club with its own customisable home page. It is anticipated that the service will become a showcase for the best of grass-roots motor sport around the country and provide an important outlet to show people that there is much more to motor sport than simply Formula 1. GoMotorsport.tv is provided completely free of charge for use by all MSA clubs. If you would like to register to use the service, or just require more information, please contact the MSA Communications Department on 01753 765005 or by email tv@msauk.org. It is with regret that we have to report the loss of one of the North East's talented and much loved motorsport colleagues. Ian Winter, of Willington in County Durham, lost his long battle with cancer in the early hours of Saturday, January 8. "He fought his illness every step of the way after he was diagnosed over five years ago" said his wife Karen. "He kept going into work even while he was getting his chemotherapy but would sometimes have to come home early, he was a fighter. "He loved his job and really enjoyed his work. He said he was privileged to do that job and he could not have imagined doing anything else" Mrs Winter added. Ian started his photographic career at the Berwick Advertiser before moving to the Shields Gazette. He joined The Journal in 1976 and went on to become a senior photographer before serving as deputy picture editor. Friends and colleagues have described him as a very talented photographer who was extremely dedicated to his profession. Friend and colleague Rod Wilson, former picture editor on the Evening Chronicle, said: "He was a very professional photographer and a good friend. He was a smashing lad and a really good operator and a great photographer. Racing and cars were among Ian's passions and he spent a great deal of time travelling the world for racing events and was an active member of the Hadrian Motor Sports Club. Friend and former colleague Stuart Outterside, said: "All the big rally drivers in the North East knew him. It was one of his passions and he was always involved in it. "He was a skillful photographer and he could create nice fun pictures. He was a genuine all-rounder. His whole life was journalism, it was his passion as well. He was a really good guy." Ian spent his last months at Weardale Community Hospital in Stanhope, County Durham. 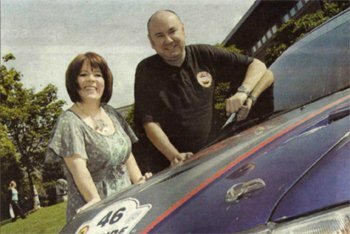 Everyone at Whickham and District Motor Club would like to pass on our sincere condolences to his wife Karen and his family. I think it's fair to say that the Annual WDMC Awards Night was a thoroughly enjoyable evening, with everyone in excellent spirits and thouroughly enjoying themselves. It was particularly good to see some of the younger members walking away with some very well deserved awards and it gives us all heart to think the future of the Club is looking very good indeed. There were some surprises in store too, as some of the recipients obviously didn't know about some of the awards, and the banter throughout the evening was given and received in very good nature and there were a lot of laughs throughout. There were some emotional moments too, in particular when young Jack Morton received his award from Jimmy Knox, and it was particularly poignant that this received the greatest applause of the night, and showed that to many of us, Whickham Motor Club is really more like a big family that gets together once a week. To everyone that received an award, well done, and to those that were there to share their achievements, thank you so much, you make this Motor Club what it is, and that's the best Club in the North East, if not the Country.